Serving the staffing needs of Businesses and Residents of Central Massachusetts for Over 30 years! Now’s a great time to look for a job – and we’re here to help! The winter is over, spring is here, and the employment market is opening up. 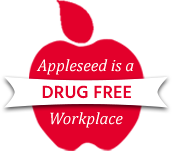 Here at Appleseed Personnel, we’re beginning to see lots of activity in the job market, so if you’re looking for work – full-time or temporary – we can help you. Don’t think you have the right skills? Don’t worry! In most cases, we can match your skill set to a position for which you’re already qualified, or can acquire the skills with a little training. We’re experts at helping our applicants position themselves to find employment – from brushing up resumes, to tips on dressing, interviewing, filling out applications, and following up. Our e-newsletter will provide helpful intoformation on upcoming job fairs, useful information and helpful tips. © 2015 Appleseed Personnel Services, Inc.